The costs of substance abuse in the workplace are staggering. Workplace substance abuse adversely affects shareholder, the workforce, customers, and society. The employee assistance program (EAP) has demonstrated its effectiveness in combating the many types of personal problems that impair work performance. EAPs come in many forms, but each costs money. Smits and Pace provide a practical guide to help corporate decision makers construct and fund an EAP tailored to their needs. 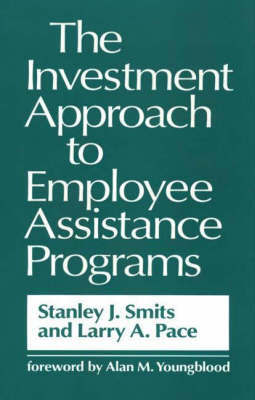 To help insure a reasonable return on the corporation's EAP investment, the authors suggest linking it strategically to other human resource programs and operating it in a businesslike manner with performance objectives, measurement systems, and accountability for agreed-upon outcomes. The investment model organizes the book into three parts and concludes with an integrative case designed to help the reader apply the concepts presented in the first ten chapters. Part I, Making the Investment, focuses on needs, options, and investment levels. It encourages the reader to think about the EAP as part of a portfolio of human resource programs linked strategically to the organization's business strategy. Part II, Managing the Investment, examines the nuts and bolts of the implementation and operation of the EAP. Part III, Monitoring the Investment, advocates an EAP management information system to help improve EAP efficiency and tttttttveness, to assess the return on investment, and to help guide corporate decision makers when reinvesting in their EAP.